Justin Sullivan/Getty ImagesThe reviews are in. The first wave of reviews for the iPhone XR show the phone in a positive light, praising the cheaper iPhone’s battery life and its wide-angle camera. 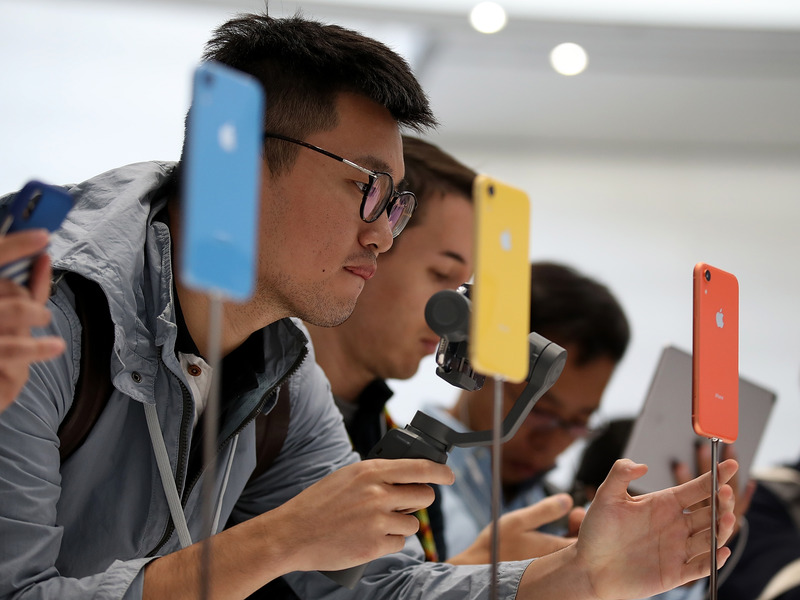 Several reviewers found it hard to recommend Apple’s more expensive iPhone XS because the XR’s specs are so good. ICE officials met with Amazon this summer to discuss using its controversial facial recognition surveillance technology. It’s possible the technology could be used by ICE to target immigrants near “sensitive locations” like medical facilities and houses of worship. WikiTribune, the anti-fake news website set up by Wikipedia founder Jimmy Wales, has axed all its journalists. The company now wants more community, rather than journalistic, input. Timothy Sehn, Snap’s former senior vice president of engineering, announced he would be founding a company called Liquidata, along with two other former Snap engineers. Liquidata is a Data as a Service company headquartered in Santa Monica. Former Microsoft executive Terry Myerson has resurfaced six-months after leaving the company by announcing his new career as an investor. He’s joining two investment firms, he said, called Madrona Ventures and Carlyle Group. Apple is reportedly planning to fix the ‘beautygate’ effect, which automatically smooths out selfies on the new iPhones. The selfie smoothing controversy, dubbed “beautygate” when users discovered it, can make iPhone XS selfies appear void of detail compared to previous iPhones and other top Android devices. An Amazon-backed startup is selling smartglasses for $US1,000 that are customised to your face. The glasses, made by North, will be able to display useful information like notifications, directions, and reminders as a heads-up display. Microsoft’s cloud transformation has it on track to be the next $US1 trillion company. Revenue from its Azure division is on a tear and analysts expect the company’s earnings report, which comes out Wednesday, to confirm that this boom is continuing. An Apple analyst with a track record of accuracy has predicted that Apple will launch two new new iPad Pro models with a new-design Apple Pencil, a new iPad Mini, and potentially a cheap notebook. Apple is holding an event next Tuesday to announce new devices. Lyft has acquired British augmented reality startup Blue Vision Labs. The startup, according to TechCrunch, has developed a way of processing street-level imagery and turning it into AR maps.